For other uses of "Hadith", see Hadith (disambiguation). Ḥadith is the Arabic word for speech, report, account, narrative. :471 Unlike the Quran, not all Muslims believe hadith accounts (or at least not all hadith accounts) are divine revelation. Hadiths were not written down by Muhammad's followers immediately after his death but several generations later when they were collected, collated and compiled into a great corpus of Islamic literature. Different collections of hadith would come to differentiate the different branches of the Islamic faith. A small minority of Muslims called Quranists reject all hadith. Because some ahadith include questionable and even contradictory statements, the authentication of ahadith became a major field of study in Islam. In its classic form a hadith has two parts — the chain of narrators who have transmitted the report (the isnad), and the main text of the report (the matn). Individual hadith are classified by Muslim clerics and jurists into categories such as sahih ("authentic"), hasan ("good") or da'if ("weak"). However, different groups and different scholars may classify a hadith differently. Among some scholars of Sunni Islam, the term hadith may include not only the supposed words, advice, practices, etc. of Muhammad, but also those of his companions. In Shia Islam, hadith is the embodiment of the sunnah, the words and actions of the Prophet and his family the Ahl al-Bayt (The Twelve Imams and the Prophet's daughter, Fatimah). In Arabic, the noun ḥadīth (حديث IPA: [ħæˈdiːθ]) means "report", "account", or "narrative". Its Arabic plural is aḥādīth (أحاديث [ʔæħæːˈdiːθ]). Hadith also refers to the speech of a person. In Islamic terminology, according to Juan Campo, the term hadith refers to reports of statements or actions of Muhammad, or of his tacit approval or criticism of something said or done in his presence. Classical hadith specialist Ibn Hajar al-Asqalani says that the intended meaning of hadith in religious tradition is something attributed to Muhammad but that is not found in the Quran. Scholar Patricia Crone includes reports by others than Muhammad in her definition of hadith: "short reports (sometimes just a line or two) recording what an early figure, such as a companion of the prophet (known as sahabah) or Mohammed himself, said or did on a particular occasion, prefixed by a chain of transmitters". But she adds that "nowadays, hadith almost always means hadith from Mohammed himself." Other associated words possess similar meanings including: khabar (news, information) often refers to reports about Muhammad, but sometimes refers to traditions about his companions and their successors from the following generation; conversely, athar (trace, vestige) usually refers to traditions about the companions and successors, though sometimes connotes traditions about Muhammad. However, according to the Shia Islam Ahlul Bayt Digital Library Project, "... when there is no clear Qur’anic statement, nor is there a Hadith upon which Muslim schools have agreed. ... Shi’a ... refer to Ahlul-Bayt for deriving the Sunnah of Prophet." This means that in Shia Islam, the sunnah draws on the sayings and deeds of the Ahl al-Bayt, i.e. the Imams. The word sunnah (custom or "all the traditions and practices" of the Islamic prophet that "have become models to be followed" by Muslims) is also used in reference to a normative custom of Muhammad or the early Muslim community. Joseph Schacht describes hadith as providing "the documentation" of the sunnah. Whereas the 'Hadith' is an oral communication that is allegedly derived from the Prophet or his teachings, the 'Sunna' (quite literally: mode of life, behaviour or example) signifies the prevailing customs of a particular community or people. ... A 'Sunna' is a practice which has been passed on by a community from generation to generation en masse, whereas the Ahadith are reports collected by later compilers often centuries removed from the source. ... A practice which is contained within the Hadith may well be regarded as Sunna, but it is not necessary that a Sunna would have a supporting hadith sanctioning it. Some sources (Khaled Abou El Fadl) limit hadith to verbal reports, with the deeds of Muhammad and reports about his companions being part of the sunnah, but not hadith. "from other persons are of no account in the face of a tradition from the Prophet, whether they confirm or contradict it; if the other persons had been aware of the tradition from the Prophet, they would have followed it". This led to "the almost complete neglect" of traditions from Companions and others. Collections of hadith sometimes mix those of Muhammad with the reports of others. Muwatta Imam Malik is usually described as "the earliest written collection of hadith" but sayings of Muhammad are “blended with the sayings of the companions”, (822 hadith from Muhammad and 898 from others, according to the count of one edition). In Introduction to Hadith by Abd al-Hadi al-Fadli, Kitab Ali is referred to as "the first hadith book of the Ahl al-Bayt (family of Muhammad) to be written on the authority of the Prophet". The hadith literature is based on spoken reports in circulation after the death of Muhammad. Unlike the Quran, hadiths were not promptly written down during Muhammad's life or immediately after his death. Hadith were evaluated and gathered into large collections during the 8th and 9th centuries, generations after the death of Muhammad, after the end of the era of the "rightful" Rashidun Caliphate, over 1,000 km (620 mi) from where Muhammad lived. "Many thousands of times" more numerous than Quranic verse, ahadith have been described as resembling layers surrounding the “core” of the Islamic belief (the Quran). Well-known, widely accepted Hadiths make up the narrow inner layer, with ahadith becoming less reliable and accepted with each layer stretching outward. Unlike the Quran, hadiths are “grounded in the prosaic moments of everyday life". The reports of behavior to be emulated that were collected include details of ritual religious practice such as the five salat (obligatory Islamic prayers) that are not found in the Quran, but also everyday behavior such as table manners, dress, posture. Hadith are also regarded by Muslims as important tools for understanding things mentioned in the Quran but not explained, a source for tafsir (commentaries written on the Quran). Some important elements, which are today taken to be a long-held part of Islamic practice and belief are not mentioned in the Quran at all, but are derived solely from the hadith. Almost all Muslims, therefore, can be called Hadithists (i.e. believers in hadith), and maintain that the hadith is a necessary requirement for the true and proper practice of Islam, as it gives Muslims the nuanced details of Islamic practice and belief in areas where the Quran is silent. Quranists, on the contrary, hold that if the Quran is silent on some matter, it is because Allah did not hold its detail to be of consequence; and that some hadiths contradict the Quran, evidence that some hadiths are a source of corruption and not a compliment to the Quran. Among most hadithists, the importance of hadith is secondary to Quran given that, at least in theory, an Islamic conflict of laws doctrine holds Quranic supremacy above hadith in developing Islamic jurisprudence. However, a minority of hadithists have historically placed hadith on a par with the Quran. A smaller minority have upheld hadith in contradiction to the Quran, thereby placing hadith above Quran and claiming that contradictory hadiths abrogate the parts of the Quran where they conflict. The hadith had a profound and controversial influence on tafsir (commentaries of the Quran). The earliest commentary of the Quran known as Tafsir Ibn Abbas is sometimes attributed to the companion Ibn Abbas. The hadith were used in forming the basis of Sharia (the religious law system forming part of the Islamic tradition), and fiqh (Islamic jurisprudence). The hadith are at the root of why there is no single fiqh system, but rather a collection of parallel systems within Islam. Much of early Islamic history available today is also based on the hadith, although it has been challenged for its lack of basis in primary source material and the internal contradictions of the secondary material available. Hadith may be hadith qudsi (sacred hadith) — which some Muslims regard as the words of God (Arabic: Allah) — or hadith sharif (noble hadith), which are Muhammad's own utterances. According to as-Sayyid ash-Sharif al-Jurjani, the hadith qudsi differ from the Quran in that the former are "expressed in Muhammad's words", whereas the latter are the "direct words of God". A hadith qudsi need not be a sahih (sound hadith), but may be da‘if or even mawdu‘. In the Shia school of thought, there are two fundamental viewpoints of hadith: The Akhbari view and the Usuli view. The Usuli scholars stress the importance of scientific examination of hadiths using ijtihad while the Akhbari scholars take all hadiths from the four Shia books as authentic . The two major aspects of a hadith are the text of the report (the matn), which contains the actual narrative, and the chain of narrators (the isnad), which documents the route by which the report has been transmitted. The isnad was an effort to document that a hadith had actually come from Muhammad, and Muslim scholars from the eighth century until today have never ceased repeating the mantra "The isnad is part of the religion — if not for the isnad, whoever wanted could say whatever they wanted." The isnad means literally 'support', and it is so named due to the reliance of the hadith specialists upon it in determining the authenticity or weakness of a hadith. The isnad consists of a chronological list of the narrators, each mentioning the one from whom they heard the hadith, until mentioning the originator of the matn along with the matn itself. The first people to hear hadith were the companions who preserved it and then conveyed it to those after them. Then the generation following them received it, thus conveying it to those after them and so on. So a companion would say, "I heard the Prophet say such and such." The Follower would then say, "I heard a companion say, 'I heard the Prophet.'" The one after him would then say, "I heard someone say, 'I heard a Companion say, 'I heard the Prophet..." and so on. In the Sunni branch of Islam, the canonical hadith collections are the six books, of which Sahih al-Bukhari and Sahih Muslim generally have the highest status. The other books of hadith are Sunan Abu Dawood, Jami` at-Tirmidhi, Al-Sunan al-Sughra and Sunan ibn Majah. However the Malikis, one of the four Sunni "schools of thought" (madhhabs), traditionally reject Sunan ibn Majah and assert the canonical status of Muwatta Imam Malik. In the Twelver Shi'a branch of Islam, the canonical hadith collections are the Four Books: Kitab al-Kafi, Man la yahduruhu al-Faqih, Tahdhib al-Ahkam, and Al-Istibsar. In the Ibadi branch of Islam, the main canonical collection is the Tartib al-Musnad. This is an expansion of the earlier Jami Sahih collection, which retains canonical status in its own right. The Ismaili shia sects use the Daim al-Islam as hadith collections. The Ahmadiyya sect generally rely on the Sunni canons. Some minor groups, collectively known as Quranists, reject the authority of the hadith collections altogether. In general, the difference between Shi'a and Sunni collections is that Shia give preference to hadiths credited to the Prophet's family and close associates (Ahl al-Bayt), while Sunnis do not consider family lineage in evaluating hadith and sunnah narrated by any of twelve thousand companions of Muhammad. This assertion re Muslim historians citing Uthman on hadith needs additional citations for verification. Please help improve this article by adding citations to reliable sources. Unsourced material may be challenged and removed. Traditions of the life of Muhammad and the early history of Islam were passed down mostly orally for more than a hundred years after Muhammad's death in AD 632. Muslim historians say that Caliph Uthman ibn Affan (the third khalifa (caliph) of the Rashidun Caliphate, or third successor of Muhammad, who had formerly been Muhammad's secretary), is generally believed to urge Muslims to record the hadith just as Muhammad suggested to some of his followers to write down his words and actions. Uthman's labours were cut short by his assassination, at the hands of aggrieved soldiers, in 656. No sources survive directly from this period so we are dependent on what later writers tell us about this period. According to British historian of Arab world Alfred Guillaume, it is "certain" that "several small collections" of hadith were "assembled in Umayyad times." According to scholars Harald Motzki and Daniel W. Brown. The earliest Islamic legal reasonings that have come down to us were "virtually hadith-free", but gradually, over the course of second century A.H. "the infiltration and incorporation of Prophetic hadiths into Islamic jurisprudence" took place. In 851 the rationalist Mu`tazila school of thought fell from favor in the Abbasid Caliphate. The Mu`tazila, for whom the "judge of truth ... was human reason," had clashed with traditionists who looked to the literal meaning of the Quran and hadith for truth. While the Quran had been officially compiled and approved, hadiths had not. One result was the number of hadiths began "multiplying in suspiciously direct correlation to their utility" to the quoter of the hadith (Traditionists quoted hadith warning against listening to human opinion instead of Sharia; Hanafites quoted a hadith stating that "In my community there will rise a man called Abu Hanifa [the Hanafite founder] who will be its guiding light". In fact one agreed upon hadith warned that, "There will be forgers, liars who will bring you hadiths which neither you nor your forefathers have heard, Beware of them." In addition the number of hadith grew enormously. While Malik ibn Anas had attributed just 1720 statements or deeds to the Muhammad, it was no longer unusual to find people who had collected a hundred times that number of hadith. Faced with a huge corpus of miscellaneous traditions supported differing views on a variety of controversial matters—some of them flatly contradicting each other—Islamic scholars of the Abbasid sought to authenticate hadith. Scholars had to decide which hadith were to be trusted as authentic and which had been invented for political or theological purposes. To do this, they used a number of techniques which Muslims now call the science of hadith. Sunni and Shia hadith collections differ because scholars from the two traditions differ as to the reliability of the narrators and transmitters. 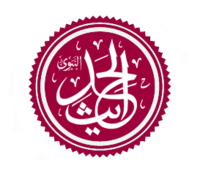 Narrators who took the side of Abu Bakr and Umar rather than Ali, in the disputes over leadership that followed the death of Muhammad, are seen as unreliable by the Shia; narrations sourced to Ali and the family of Muhammad, and to their supporters, are preferred. Sunni scholars put trust in narrators, such as Aisha, whom Shia reject. Differences in hadith collections have contributed to differences in worship practices and shari'a law and have hardened the dividing line between the two traditions. In the Sunni tradition, the number of such texts is somewhere between seven and thirteen thousand, but the number of hadiths is far greater because several isnad sharing the same text are each counted as individual ahadith. If, say, ten companions record a text reporting a single incident in the life of Muhammad, hadith scholars can count this as ten hadiths. So Musnad Ahmad, for example, has over 30,000 hadiths—but this count includes texts that are repeated in order to record slight variations within the text or within the chains of narrations. Identifying the narrators of the various texts, comparing their narrations of the same texts to identify both the soundest reporting of a text and the reporters who are most sound in their reporting occupied experts of hadith throughout the 2nd century. In the 3rd century of Islam (from 225/840 to about 275/889), hadith experts composed brief works recording a selection of about two- to five-thousand such texts which they felt to have been most soundly documented or most widely referred to in the Muslim scholarly community. The 4th and 5th century saw these six works being commented on quite widely. This auxiliary literature has contributed to making their study the place of departure for any serious study of hadith. In addition, Bukhari and Muslim in particular, claimed that they were collecting only the soundest of sound hadiths. These later scholars tested their claims and agreed to them, so that today, they are considered the most reliable collections of hadith. Toward the end of the 5th century, Ibn al-Qaisarani formally standardized the Sunni canon into six pivotal works, a delineation which remains to this day. Over the centuries, several different categories of collections came into existence. Some are more general, like the muṣannaf, the muʿjam, and the jāmiʿ, and some more specific, either characterized by the topics treated, like the sunan (restricted to legal-liturgical traditions), or by its composition, like the arbaʿīniyyāt (collections of forty hadiths). Shi'a Muslims hardly ever use the six major hadith collections followed by the Sunni, as they never usually trust many of the Sunni narrators and transmitters. They have their own extensive hadith literature. The best-known hadith collections are The Four Books, which were compiled by three authors who are known as the 'Three Muhammads'. The Four Books are: Kitab al-Kafi by Muhammad ibn Ya'qub al-Kulayni al-Razi (329 AH), Man la yahduruhu al-Faqih by Muhammad ibn Babuya and Al-Tahdhib and Al-Istibsar both by Shaykh Muhammad Tusi. Shi'a clerics also make use of extensive collections and commentaries by later authors. Unlike Sunnis, the majority of Shia do not consider any of their hadith collections to be sahih (authentic) in their entirety. Therefore, every individual hadith in a specific collection must be investigated separately to determine its authenticity. However, the Akhbari school does take all hadith from the four books as authentic. The importance of hadith in the Shia school of thought is well documented. This can be captured by Ali ibn Abi Talib, cousin of Muhammad, when he narrated that "Whoever of our Shia (followers) knows our Shariah and takes out the weak of our followers from the darkness of ignorance to the light of knowledge (Hadith) which we (Ahl al-Bayt) have gifted to them, he on the day of judgement will come with a crown on his head. It will shine among the people gathered on the plain of resurrection." Hassan al-Askari, a descendent of Muhammad, gave support to this narration, stating "Whoever he had taken out in the worldly life from the darkness of ignorance can hold to his light to be taken out of the darkness of the plain of resurrection to the garden (paradise). Then all those whomever he had taught in the worldly life anything of goodness, or had opened from his heart a lock of ignorance or had removed his doubts will come out." The mainstream sects consider hadith to be essential supplements to, and clarifications of, the Quran, Islam's holy book, as well as for clarifying issues pertaining to Islamic jurisprudence. Ibn al-Salah, a hadith specialist, described the relationship between hadith and other aspect of the religion by saying: "It is the science most pervasive in respect to the other sciences in their various branches, in particular to jurisprudence being the most important of them." "The intended meaning of 'other sciences' here are those pertaining to religion," explains Ibn Hajar al-Asqalani, "Quranic exegesis, hadith, and jurisprudence. The science of hadith became the most pervasive due to the need displayed by each of these three sciences. The need hadith has of its science is apparent. As for Quranic exegesis, then the preferred manner of explaining the speech of God is by means of what has been accepted as a statement of Muhammad. The one looking to this is in need of distinguishing the acceptable from the unacceptable. Regarding jurisprudence, then the jurist is in need of citing as an evidence the acceptable to the exception of the later, something only possible utilizing the science of hadith." According to Bernard Lewis, "in the early Islamic centuries there could be no better way of promoting a cause, an opinion, or a faction than to cite an appropriate action or utterance of the Prophet." To fight these forgeries, the elaborate science of hadith studies was devised. Hadith studies use a number of methods of evaluation developed by early Muslim scholars in determining the veracity of reports attributed to Muhammad. This is achieved by analyzing the text of the report, the scale of the report's transmission, the routes through which the report was transmitted, and the individual narrators involved in its transmission. On the basis of these criteria, various classifications were devised for hadith. The earliest comprehensive work in hadith studies was Abu Muhammad al-Ramahurmuzi's al-Muhaddith al-Fasil, while another significant work was al-Hakim al-Naysaburi's Ma‘rifat ‘ulum al-hadith. Ibn al-Salah's ʻUlum al-hadith is considered the standard classical reference on hadith studies. By means of hadith terminology, hadith are categorized as ṣaḥīḥ (sound, authentic), ḍaʿīf (weak), or mawḍūʿ (fabricated). Other classifications used also include: ḥasan (good), which refers to an otherwise ṣaḥīḥ report suffering from minor deficiency, or a weak report strengthened due to numerous other corroborating reports; and munkar (denounced) which is a report that is rejected due to the presence of an unreliable transmitter contradicting another more reliable narrator. Both sahīh and hasan reports are considered acceptable for usage in Islamic legal discourse. Classifications of hadith may also be based upon the scale of transmission. Reports that pass through many reliable transmitters at each point in the isnad up until their collection and transcription are known as mutawātir. These reports are considered the most authoritative as they pass through so many different routes that collusion between all of the transmitters becomes an impossibility. Reports not meeting this standard are known as aahad, and are of several different types. Another area of focus in the study of hadith is biographical analysis (‘ilm al-rijāl, lit. "science of people"), in which details about the transmitter are scrutinized. This includes analyzing their date and place of birth; familial connections; teachers and students; religiosity; moral behaviour; literary output; their travels; as well as their date of death. Based upon these criteria, the reliability (thiqāt) of the transmitter is assessed. Also determined is whether the individual was actually able to transmit the report, which is deduced from their contemporaneity and geographical proximity with the other transmitters in the chain. Examples of biographical dictionaries include: Abd al-Ghani al-Maqdisi's Al-Kamal fi Asma' al-Rijal, Ibn Hajar al-Asqalani's Tahdhīb al-Tahdhīb and al-Dhahabi's Tadhkirat al-huffaz. The major points of intra-Muslim criticism of the hadith literature is based in questions regarding its authenticity. However, Muslim criticism of hadith is also based on theological and philosophical Islamic grounds of argument and critique. Muslim scholars have a long history of questioning the hadith literature throughout Islamic history. Western academics also became active in the field later on. ^ "Hadith". Dictionary.com Unabridged. Random House. Retrieved 2011-08-13. ^ a b c d Brown, Jonathan A.C. (2009), p. 3. ^ Forte, David F. (1978). "Islamic Law; the impact of Joseph Schacht" (PDF). Loyola of Los Angeles International and Comparative Law Review. 1: 2. Retrieved 19 April 2018. ^ Hans Wehr English&Arabic Dictionary. ^ Mohammad Taqi al-Modarresi (26 March 2016). The Laws of Islam (PDF). Enlight Press. ISBN 978-0994240989. Retrieved 22 December 2017. ^ a b Aisha Y. Musa, The Qur’anists, Florida International University, accessed May 22, 2013. ^ Lewis, Bernard (1993). Islam and the West. Oxford University Press. p. 44. ISBN 9780198023937. Retrieved 28 March 2018. ^ a b c Brown, Jonathan A.C. (2009), p. 4. ^ Brown, Jonathan A.C. (2009), p. 6-7. ^ Islahi, Amin Ahsan (1989) [transl. 2009]. Mabadi Tadabbur-i-Hadith (translated as: "Fundamentals of Hadith Interpretation") (in Urdu). Lahore: Al-Mawrid. Retrieved 2 June 2011. ^ a b c d e f Campo, Juan Eduardo. "Hadith". Encyclopedia of Islam. ^ The Future of Muslim Civilisation by Ziauddin Sardar, 1979, page 26. ^ Motzki, Harald (2004). Encyclopedia of Islam and Muslim World.1. Thmpson Gale. p. 285. ^ Bukhārī, Muḥammad ibn Ismāʻīl (2003). Moral Teachings of Islam: Prophetic Traditions from Al-Adab Al-mufrad By Muḥammad ibn Ismāʻīl Bukhārī. ISBN 9780759104174. ^ al-Fadli, Abd al-Hadi (2011). Introduction to Hadith (2nd ed.). London: ICAS Press. p. vii. ISBN 9781904063476. ^ al-Kuliyat by Abu al-Baqa’ al-Kafawi, p. 370; Mu'assasah l-Risalah. This last phrase is quoted by al-Qasimi in Qawaid al-Tahdith, p. 61; Dar al-Nafais. ^ Lisan al-Arab, by Ibn Manthour, vol. 2, p. 350; Dar al-Hadith edition. ^ al-Asqalani, Ahmad ibn 'Ali (2000). Fath al-Bari (in Arabic). 1. Egypt: al-Matba'ah al-Salafiyyah. p. 193. ISBN 978-1-902350-04-2. ^ Crone, Patricia (10 June 2008). "What do we actually know about Mohammed?". Open Democracy. Retrieved 16 April 2018. ^ "The Major Difference Between the Shi'a and the Sunni". Ahlul Bayt Digital Library Project. 2013-11-12. Retrieved 28 March 2018. ^ a b Schacht, Joseph (1959) . The Origins of Muhammadan Jurisprudence. Oxford University Press. p. 3. ^ Islam, Joseph A. "THE DIFFERENCE BETWEEN HADITH AND SUNNA". The Quran and Its Message. Retrieved 26 March 2018. ^ Abou El Fadl, Khaled (22 March 2011). "What is Shari'a?". ABC Religion and Ethics. Retrieved 20 June 2015. ^ Schacht, Joseph (1959) . The Origins of Muhammadan Jurisprudence. Oxford University Press. p. 19. ^ Shafi'i. "Kitab Ikhtilaf Malid wal-Shafi'i, 57, 148". Kitab al-Umm vol. vii. p. 248. ^ see also Haddad, GF; Hajj Gibril. "The Hadith: "My Companions Are Like The Stars"". living islam. ^ Schacht, Joseph (1959) . The Origins of Muhammadan Jurisprudence. Oxford University Press. p. 12. ^ Shafi'i. "Introduction. Kitab Ikhtilaf Malid wal-Shafi'i". Kitab al-Umm vol. vii. ^ Schacht, Joseph (1959) . The Origins of Muhammadan Jurisprudence. Oxford University Press. p. 4. ^ al-Fadli, Abd al-Hadi (2011). Introduction to Hadith (2nd ed.). London: ICAS Press. p. 59. ISBN 9781904063476. ^ Schacht, Joseph (1959) . The Origins of Muhammadan Jurisprudence. Oxford University Press. p. 22. ^ Zurqani (d.1122 (1310). Commentary on Malik's Muwatta', 4 vols. i. Cairo. p. 8. ^ al-Fadli, Abd al-Hadi (2011). Introduction to Hadith (2nd ed.). London: ICAS Press. p. 62. ISBN 9781904063476. ^ Hameed, Shahul. "Store of Prophet's Legacy: Why Hadith is Important". About Islam. Retrieved 28 March 2018. ^ Hashmi, Tariq Mahmood (2 April 2015). "Role, Importance And Authenticity Of The Hadith". Mawrid.org. Retrieved 28 March 2018. ^ Brown, Jonathan A.C. (2014). Misquoting Muhammad: The Challenge and Choices of Interpreting the Prophet's Legacy. Oneworld Publications. p. 18. ISBN 978-1780744209. ^ a b Ibn Hajar, Ahmad. al-Nukat ala Kitab ibn al-Salah, vol. 1, p. 90. Maktabah al-Furqan. ^ a b c d e f g ibn Ya’qub al-Kulayni, Abu Ja’far Muhammad (February 2013). Kitab al-Kafi (eBook ed.). New York: The Islamic Seminary Inc. ISBN 978-0-9890016-2-5. ^ Graham, William A. (1977). Divine Word and Prophetic Word in Early Islam: A Reconsideration of the Sources, with Special Reference to the Divine Saying or Hadith Qudsi. Walter de Gruyter. ISBN 3110803593. ^ Glasse, Cyril (2001) . The New Encyclopedia of Islam. Altamira. p. 159. ^ "Qu'est-ce que le hadith Qudsi ?". aslamna.info. ^ Related by al-Bukhari, Muslim, an-Nasa'i and Ibn Majah. ^ al-Kulayni, Muhammad ibn Ya‘qub (2015). Al-Kafi (Volume 6 ed.). New York: Islamic Seminary Incorporated. ISBN 9780991430864. ^ Tadrib al-Rawi, vol. 1, pp. 39–41 with abridgement. ^ Ilm al-Rijal wa Ahimiyatih, by Mualami, p. 16, Dar al-Rayah. ^ "Religions. Sunni and Shi'a". BBC. Retrieved 28 March 2018. ^ ^ Tirmidhi, "‘Ilm," 12. ^ ^ Collected in the Musnad of Ahmad (10\15-6\ 6510 and also nos. 6930, 7017 and 1720), Sunan Abu Dawud (Mukhtasar Sunan Abi Dawud (5\246\3499) and elsewhere. ^ Brown, Daniel W. (1996). Rethinking tradition in modern Islamic thought. Cambridge University Press. p. 11. ISBN 978-0521570770. Retrieved 10 May 2018. ^ Ibn Sa’d, Tabaqat, III/1, 243. Cf G.H.A. Juynboll, Muslim Traditions: Studies in Chronology, Provenance and Authorship of Early Hadith (Cambridge, 1983; Juynboll, G.H.A., “Some New Ideas on the Development of Sunna as a Technical Term in Early Islam”, ‘’Jerusalem Studies in Arabic and Islam’’ 10 (1987): p.108, cited in Brown, Daniel W. (1996). Rethinking tradition in modern Islamic thought. Cambridge University Press. p. 10. ISBN 978-0521570770. Retrieved 10 May 2018. ^ Forte, David F. (1978). "Islamic Law; the impact of Joseph Schacht" (PDF). Loyola Los Angeles International and Comparative Law Review. 1: 13. Retrieved 19 April 2018. ^ Brown, Daniel W. (1996). Rethinking tradition in modern Islamic thought. Cambridge University Press. p. 8. ISBN 978-0521570770. Retrieved 10 May 2018. ^ Martin, Matthew (2013). Mu'tazila - use of reason in Islamic theology. Amazon. Retrieved 8 September 2015. ^ See the references and discussion by Abdul Fattah Abu Ghuddah Thalathatu rasa'il fi ulum al-hadith; risalat abi dawud ila ahl makkata fi wasf sunanihi, pg 36, footnote. Beirut: Maktaba al-Matbu'at al-Islamiyah: 2nd ed 1426/2005. ^ The earliest book, Bukhari's Sahih was composed by 225/840 since he states that he spent sixteen years composing it (Hady al-Sari, introduction to Fath al-Bari, p. 489, Lahore: Dar Nashr al-Kutub al-Islamiya, 1981/1401) and also that he showed it to Yahya ibn Ma'in (p. 8, ibid.) who died in 233. Nasa'i, the last to die of the authors of the six books, died in 303/915. He probably completed this work a few decades before his death: by 275 or so. ^ Counting multiple narrations of the same texts as a single text, the number of hadiths each author has recorded roughly as follows: Bukhari (as in Zabidi's Mukhtasar of Bukhari's book) 2134, Muslim (as in Mundhiri's Mukhtasar of Muslim's book) 2200, Tirmidhi 4000, Abu Dawud 4000, Nasa'i 4800, Ibn Majah 4300. There is considerable overlap amongst the six books so that Ibn al-Athir's Jami' al-Usul, which gathers together the hadiths texts of all six books deleting repeated texts, has about 9500 hadiths. ^ Scott C. Lucas, Constructive Critics, Ḥadīth Literature, and the Articulation of Sunnī Islam, p. 106. Leiden: Brill Publishers, 2004. ^ Ibn Khallikan's Biographical Dictionary, translated by William McGuckin de Slane. Paris: Oriental Translation Fund of Great Britain and Ireland. Sold by Institut de France and Royal Library of Belgium. Vol. 3, p. 5. ^ Muhammad Zubayr Siddiqi, Hadith Literature, Cambridge, Islamic Texts Society, 1993, edited and revised by Abdal Hakim Murad. ^ Mohammad A. Shomali (2003). Shi'i Islam: Origins, Faith and Practices (reprint ed.). ICAS Press. p. 35. ISBN 9781904063117. ^ Ulum al-Hadith by Ibn al-Salah, p. 5, Dar al-Fikr, with the verification of Nur al-Din al-‘Itr. ^ Lewis, Bernard (2011). The End of Modern History in the Middle East. Hoover Institution Press. pp. 79–80. ISBN 9780817912963. Retrieved 28 March 2018. "Hadith," Encyclopedia of Islam and the Muslim world. ^ B. Hallaq, Wael (1999). "The Authenticity of Prophetic Ḥadîth: A Pseudo-Problem". Studia Islamica. No. 89 (1999) (89): 75–90. JSTOR 1596086. (Registration required (help)). Berg, H. (2000). The development of exegesis in early Islam: the authenticity of Muslim literature from the formative period. Routledge. ISBN 978-0-7007-1224-3. Brown, Jonathan A. C. (2004). "Criticism of the Proto-Hadith Canon: Al-daraqutni's Adjustment of the Sahihayn". Journal of Islamic Studies. 15 (1): 1–37. doi:10.1093/jis/15.1.1. Brown, Jonathan A.C. (2007). The Canonization of al-Bukhārī and Muslim (PDF). Leiden, Netherlands: Brill. ISBN 9789004158399. Retrieved 3 October 2017. Brown, Jonathan A.C. (2009). Hadith: Muhammad's Legacy in the Medieval and Modern World (Foundations of Islam). Oneworld Publications. ISBN 978-1851686636. Lucas, S. (2004). Constructive Critics, Hadith Literature, and the Articulation of Sunni Islam. Brill Academic Publishers. ISBN 978-90-04-13319-8. Robinson, C. F. (2003). Islamic Historiography. Cambridge University Press. ISBN 978-0-521-62936-2. Robson, J. "Hadith". In P.J. Bearman; Th. Bianquis; C.E. Bosworth; E. van Donzel; W.P. Heinrichs. Encyclopaedia of Islam Online. Brill Academic Publishers. ISSN 1573-3912. Senturk, Recep (2005). Narrative Social Structure: Anatomy of the Hadith Transmission Network, 610-1505. Stanford, CA: Stanford University Press. ISBN 9780804752077. Swarup, Ram (1983). Understanding Islam through Hadis. New Delhi: Voice of India. ISBN 9788185990736. Retrieved 3 October 2017. Brown, Daniel W. (1996). Rethinking tradition in modern Islamic thought. Cambridge University Press. ISBN 978-0521570770. Retrieved 10 May 2018. Brown, Jonathan (2007). The Canonization of al-Bukhari and Muslim: The Formation and Function of the Sunni Hadith Canon. Leiden: Brill, 2007. Brown, Jonathan (2009). Hadith: Muhammad's Legacy in the Medieval and Modern World. Oneworld Publications. ISBN 978-1851686636. Brown, Jonathan (2010). Hadith: Oxford Bibliographies Online Research Guide. Oxford University Press. Gauthier H.A. Joynboll (PhD) (2013). Encyclopedia of Canonical Hadith. archive.org. London and Boston: Brill. p. 839. doi:10.1163/ej.9789004156746.i-804. ISBN 978-9004156746. OCLC 315870438. Archived from the original on Oct 16, 2018. Muhyi ad-Din Abu Zakariyya Yahya bin Sharaf an-Nawawi (1975). Riyadh as-Salihin [Gardens of the Righteous]. Mauhammad Zafulla Khan, translator. New York: Olive Branch Press. Retrieved 18 May 2018. Tottoli, Roberto, "Hadith", in Muhammad in History, Thought, and Culture: An Encyclopedia of the Prophet of God (2 vols. ), Edited by C. Fitzpatrick and A. Walker, Santa Barbara, ABC-CLIO, 2014, Vol I, pp. 231–236. Look up hadith in Wiktionary, the free dictionary. Wikimedia Commons has media related to Hadith. "Hadith" . New International Encyclopedia. 1905. "Hadis" . Encyclopedia Americana. 1920. This page was last edited on 10 April 2019, at 01:12 (UTC).